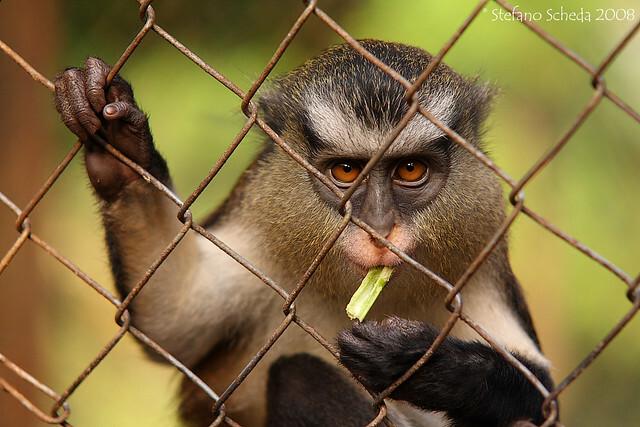 Guenon – Limbe Wildlife Centre, Cameroon. If looks could kill . . . 🙂 His eyes say it all. This is a wonderful portrait, Stefano!